It's gonna be like summertime so let's go to the beach! Bike ride to Rockaway Queens beach (Fort Tilden). Bring swimsuit, towel, sunscreen, food and/or money for food, lock for bike, or leave your bike on the beach. Come prepared (tools, tubes, water, etc.) to ride some miles at a brisk pace. 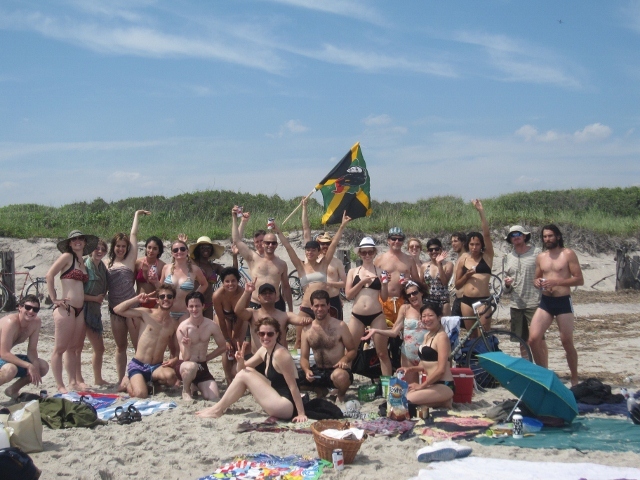 We will be having a big communal picnic lunch so BRING SOMETHING TO SHARE (or take a quick detour to the grocery store in Breezy Point or the concession stands at Jacob Riis Park). 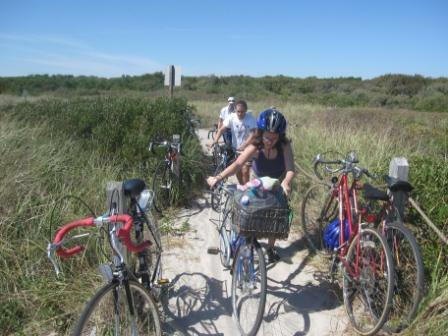 Because riding out to the beach is so sensitive to weather conditions (rain, wind, clouds, and temperature), this ride is often not advertised long in advance or on the paper calendar, so check the online calendar, facebook, or twitterfor times and dates when you think the weather calls for a beach day! Here are two articles describing the beach and park area from Wikipedia and the New York Times.